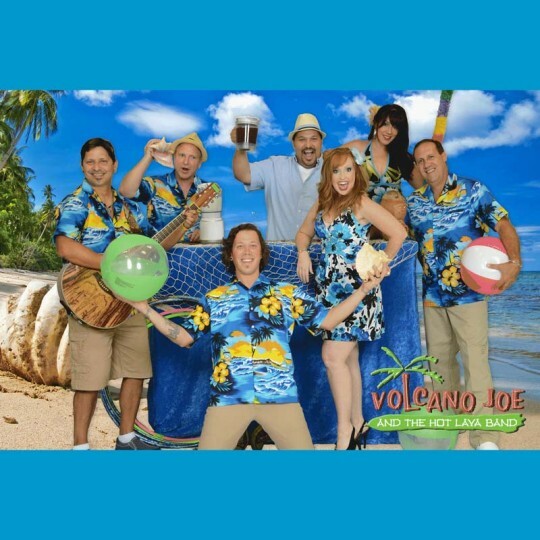 The sounds of the tropics come to life when Volcano Joe & the Hot Lava Band takes the stage. The music of Jimmy Buffett, the Beach Boys, and all your favorite dance songs is delivered in a four-hour non-stop performance. With Volcano Joe & the Hot Lava Band you get also lots of limbo dancing, conch shell blowing, beach ball volleying audience interaction! If that’s not enough fun, they also have a wacky on-stage “margarita” mixing bartender providing DJ duties between band sets.